I had an absolute blast this last weekend as Sydney and Mat’s DJ for their Wedding & Reception at The Avila Beach Golf Resort in sunny Avila Beach, California. The ceremony was set along the shores of the ocean overflow, that creates a natural lake along the side of the resort and beautiful place to have a ceremony. 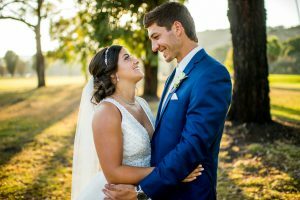 After a beautiful ceremony of “I Do’s”, the guest were invited to cool off with a drink from the bar and some hot hors d’oeuvres in the resort’s clubhouse. After a few last minute details to the reception area, the guest were invited to come down from the clubhouse and find their seat for dinner. The Bridal Party had fun being introduced into the reception with the song “U Can’t Touch This” by MC Hammer. 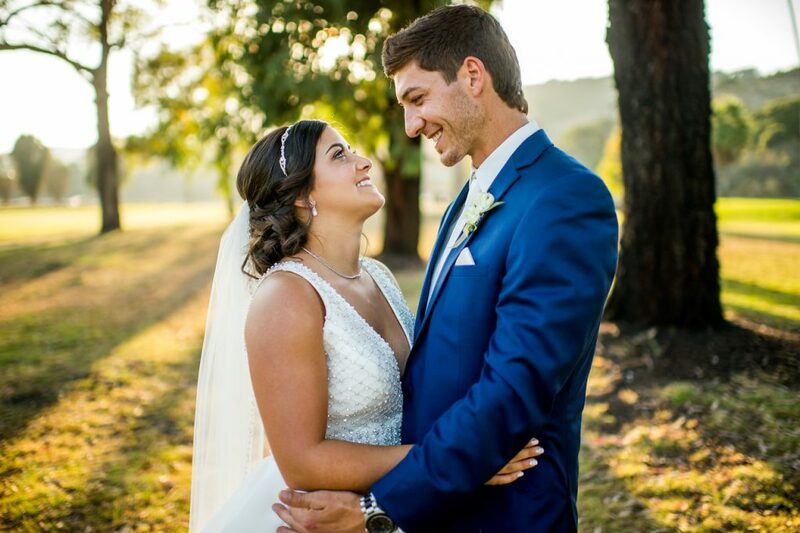 Sydney & Mat then shared their first dance to “When I Say I Do” by Matthew West. After a wonderful dinner provided by Rib Line Catering, the guest toasted, ate cake, and then headed to the dance floor. At one point, I looked out and there were maybe 10 guest sitting at their table, and the rest were all on the dance floor. That’s over a hundred guest, such an awesome sight to see! At the end of the evening, we had a sparkler send off for Sydney & Mat. They then hopped into a golf cart taxi, complete with dragging cans on strings and a banner saying “Just Married” on the back. Guest cheered as they drove off into the night. A special thanks to Jonathan with Bluephoto Photography for the outstanding photo taking. Jason McGee & Marcel Galindo handed all the video. Flowers By Kim created some amazing flower arrangements. Snap Cubby provided fun and entertainment with their photo booth. And Allison Adams of the Avila Beach Golf Resort for coordinating this amazing day.